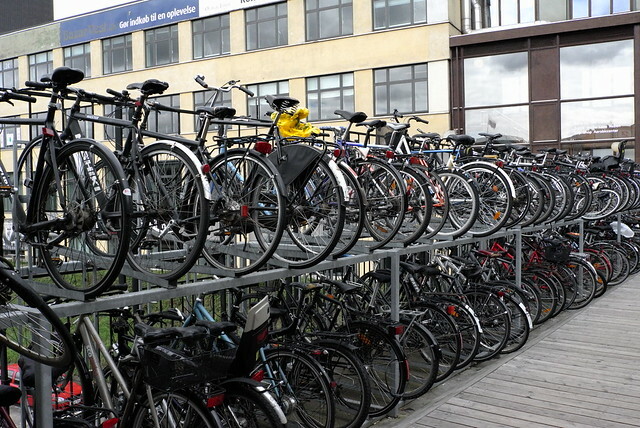 Thanks to Claus for these photos of some of the bike parking facilities at Aarhus Train Station. 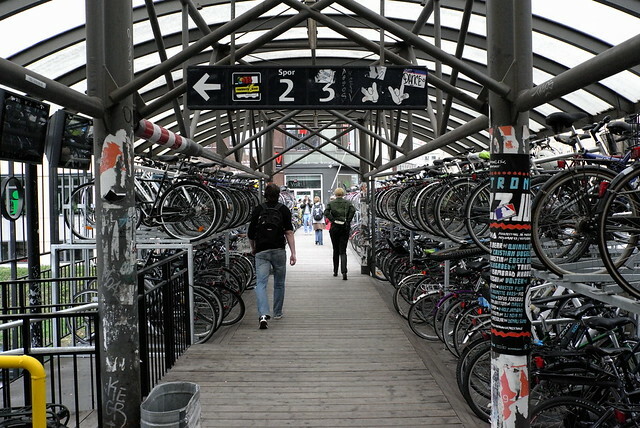 Aarhus is Denmark's second largest city. 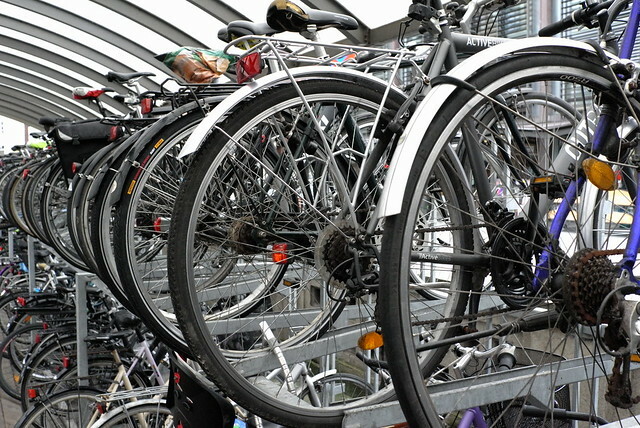 Tourists are always amazed at these double decker racks. "How do you get the bikes UP there?!!?" Well... we just lift them.